Episode 3×06 “Helen Hunt” — When the Legends track down an anachronism in 1930s Hollywood, they discover it’s none other than a time-displaced Helen of Troy and she’s just started a war between two film studios. As the Legends try to fix history and return Helen (guest star Bar Paly) to the Bronze Age, things get complicated when they are blindsided by the appearance of a former enemy. Sara (Caity Lotz) contemplates an offer she is made, which would make the Legends leave the anachronisms be. Meanwhile, Stein (Victor Garber) and Jax (Franz Drameh) find themselves in an unusual predicament. David Geddes directed the episode written by Keto Shimizu & Ubah Mohamed. Air Date: Tuesday, November 14 (9:00-10:00 p.m. ET) on the CW. 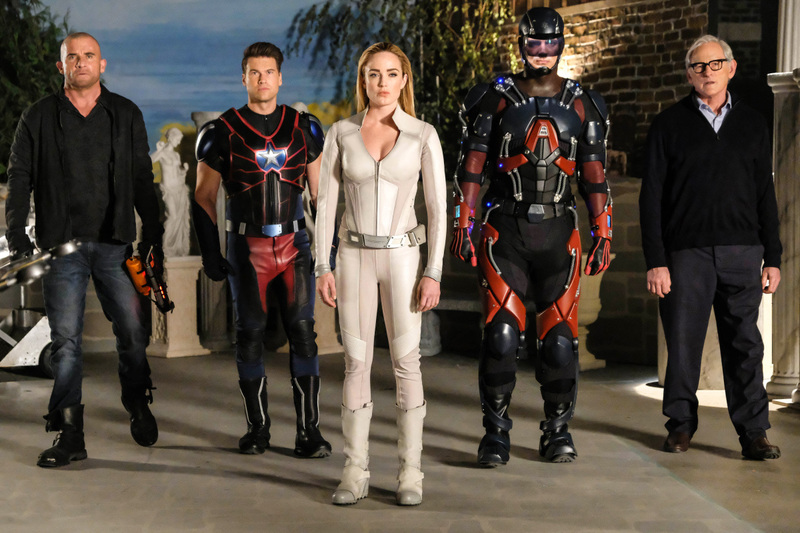 DC's Legends of Tomorrow -- "Helen Hunt" -- Image Number: LGN306b_0209b.jpg -- Pictured (L-R): Dominic Purcell as Mick Rory/Heat Wave, Nick Zano as Nate Heywood/Steel, Caity Lotz as Sara Lance/White Canary, Brandon Routh as Ray Palmer/Atom and Victor Garber as Professor Martin Stein -- Photo: Bettina Strauss/The CW -- ÃÂ© 2017 The CW Network, LLC. All Rights Reserved.